The CAF Champions League is coming to Durban! 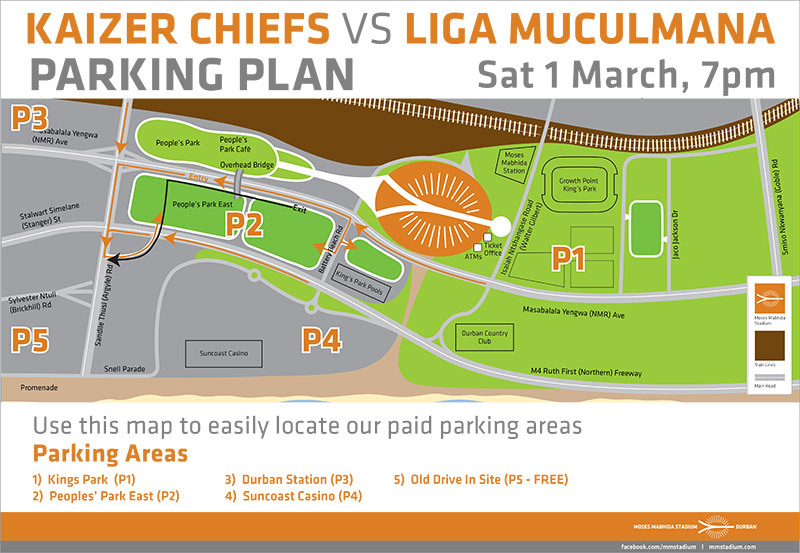 Kaizer Chiefs have officially confirmed that their CAF Champions League first leg fixture against Liga Muculmana of Mozambique will be played at the Moses Mabhida Stadium on Saturday 1 March at 7pm. The Kaizer Chiefs kicked off their CAF campaign off with an impressive start, dominating Black Africa of Namibia with a 3-0 win at the FNB Stadium before drawing 1-1 at Independence Stadium in Namibia last weekend.